Looking for a Drug Rehab or Alcohol Treatment Center in Virginia? Drug and alcohol addiction remains an ongoing problem for thousands of Virginia residents. When the decision to get help has been made, there are a number of drug rehabilitation treatment options throughout the state. 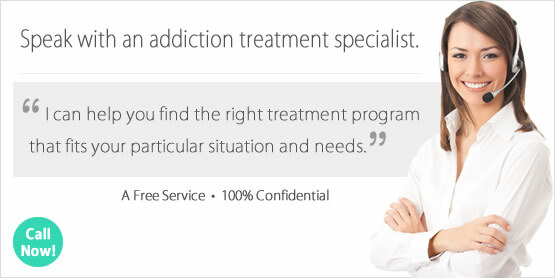 Choosing the right type of drug rehab in Virginia to meet the addict's recovery needs involves careful consideration. Factors to keep in mind include: the severity of the person's drug or alcohol addiction problem, if they are able to or willing to enroll in an inpatient program, the type of recovery methods the program uses, as well as the location and cost of the treatment center. It is a good idea to reach out to several of the treatment centers under consideration and speak with their intake counselors. These individuals will be able to answer in-depth questions and provide details on specifics of their program. Drug rehab in Virginia provides residents with the rehabilitation services necessary to overcome drug and alcohol addiction. According to the Treatment Episode Data Set (TEDS) 25,064 individuals enrolled in drug rehab in Virginia during 2014. The ratio of male to female admissions in Virginia drug rehab programs was 64.8% male and 35.2% female, and the largest age group was 26-30 years old. Top substances sending Virginia residents into treatment during 2014 included: marijuana (21.6% of all drug rehab in Virginia enrollments), alcohol with a secondary drug abuse problem (18.9%), alcohol (17.8%), heroin (11%) and prescription drugs/other opiates (10.6%). Today, two of the greatest drug threats to Virginia residents are heroin and prescription drugs. In a recent documentary titled "Heroin: The Hardest Hit", the focus is on the prescription drug and heroin epidemic in Virginia. During the documentary, residents share how heroin addiction can affect anyone, no matter their social or economic standing in the community. During 2014, state Attorney General Mark Herring disclosed a comprehensive plan to address heroin and prescription drug fatalities, including numerous legislative proposals. Drug overdose statistics from 2014 in Virginia report 728 Virginians died due to prescription drug and heroin overdoses. This is a 57% increase in fatal overdose deaths in the last 5 years. Alcohol treatment in Virginia often involves counseling, detox services (when necessary), medications, support groups and individual therapy. The type of program the person enrolls in determines the intensity and services utilized in the rehabilitation process. Types of alcohol treatment in Virginia include behavioral treatments where the program works toward changing the person's drinking behavior through counseling. Medication based treatment programs use prescription drugs, often in combination with counseling to help the individual stop or reduce their alcohol consumption. Support groups such as AA provide peer help and guidance. However, these are not led by health professionals. For many, attending support groups affords an added layer of maintenance in addition to any professional treatment they receive. During 2014, alcohol treatment in Virginia was the third most commonly sought after rehabilitation following marijuana addiction and alcohol with a secondary drug. Virginia drug and alcohol treatment programs enrolled 4,467 individuals for alcohol addiction during 2014 and 4,749 individuals for alcohol addiction with a secondary drug addiction problem. These two groups made up 36.7% of all Virginia drug treatment enrollments in 2014. Estimates from the Substance Abuse and Mental Health Services Administration (SAMHSA) between the years 2012-2013 indicate around 488,000 individuals ages 12 and older were dependent on or abused alcohol within the year prior to the survey. Additional statistics from this survey revealed that in Virginia, an estimated 389,000 adults over the age of 21 between 2009 and 2013 reported heavy alcohol use within the month before the survey. Inpatient vs outpatient treatment in Virginia provides two different types of rehabilitation experiences. An inpatient program has the client live on the premises during their time in treatment, whereas an outpatient program does not. During an outpatient treatment program the client continues to live at home and attends the facility on a regular schedule. The structure and routine of inpatient treatment are beneficial to recovering addicts. For many clients, this is their first time in a long time living day to day clean and sober. Having the support and guidance of the inpatient staff during this pivotal transition in their life provides strength and courage to continue on, even the most difficult days in treatment. On the other hand, clients who are able to maintain their sobriety will find the flexibility of outpatient treatment in Virginia to be ideal. This type of treatment offers rehabilitation services such as counseling and group therapy in a therapeutic setting without the commitment of living in the rehab facility. Clients best suited for this type of treatment include individuals who have recently completed a more intensive type of rehab program, persons who have only recently relapsed after a period of sobriety, as well as individuals who are unable or unwilling to commit to inpatient treatment. Data from the National Survey of Substance Abuse Treatment Services (N-SSATS) shows that during 2013, there were 42 residential inpatient drug rehabs and 14 hospital inpatient treatment programs operational in Virginia. The report also specifies there were a total of 189 outpatient treatment programs in service during 2013 in Virginia. Statistics from the TEDS 2011 Discharges from Substance Abuse Treatment Services indicates inpatient and residential programs have the highest rates of completion among all forms of drug rehabilitation treatment. In their survey, the patient completion totals for residential treatment (54% for short-term residential treatment, 53% for hospital residential treatment, and 45% for long-term residential treatment) were greater than in the less controlled outpatient settings (37% for outpatient treatment, 33% for intensive outpatient treatment, and 12% for outpatient medication-assisted opioid therapy treatment). What Does Inpatient Rehab in Virginia Involve? The choice to attend an inpatient treatment program in Virginia means packing up and moving into the rehab facility. The program participant has access to treatment professionals around the clock. The length of time inpatient treatment lasts varies between short term and long term inpatient programs. Short term programs provide treatment for several weeks up to a month in length, while long term inpatient treatment lasts 90 days or longer. While in rehab, the program participant will begin living their day to day life on a structured schedule and working on achieving personal goals. While working through their program, the client can expect to participate in many different rehabilitation-related activities such as counseling, therapy and group meetings. Numbers from the 2013 N-SSATS Virginia state profile note there were 42 inpatient programs in operation on March 29, 2013. Many of these programs provide more than one type of inpatient treatment. Data from this survey indicates there were 25 short term (less than 30 days), 30 long term (30 days or longer) and 12 detox inpatient treatment centers in Virginia at the time the survey was taken. Graduating from an inpatient treatment program in Virginia is a milestone in the life a recovered addict. It is an accomplishment that means the difference between remaining an addict, and gaining the skills necessary to regain control over their actions and building the life they desire for themselves. What Does Outpatient Rehab in Virginia Involve? These types of programs are less structured and intense than inpatient treatment. When attending outpatient treatment in Virginia, the program participant can expect to continue living at home or in a sober living facility. They will be able to maintain many parts of their daily life, such as school, work or personal commitments while receiving outpatient treatment. This type of flexibility is ideal for persons able to maintain their sobriety when away from the rehab program. Generally speaking, outpatient treatment in Virginia is less costly than inpatient rehabilitation; a fact that is often appealing to addicted persons in search of treatment. Data from the March 29,2013 N-SSATS Virginia state profile shows there were 189 outpatient treatment programs in Virginia at the time of the survey. A majority of these programs provided multiple types of outpatient care ranging from regular and intensive services to methadone maintenance: 172 of these centers offered regular outpatient rehab, 85 were able to provide intensive outpatient treatment, 30 offered day treatment/partial hospitalization programs, 25 provided outpatient detox and 39 were methadone/buprenorphine maintenance clinics. Completing an outpatient program provides the graduate with the information and skills they need to maintain the sobriety they have achieved during their time in treatment.